Founder and Executive Chairman of OneWeb, Greg Wyler, has been named SSPI UK Space & Satellite Personality of the Year. Greg Wyler, Founder and Executive Chairman, OneWeb. The Board of SSPI UK Chapter voted Mr. Wyler winner of this annual award for his contribution to the UK space and satellite sector and his recognition of the UK as an important space hub, selecting London as a base for his business. The Board also recognizes the work that Mr. Wyler’s OneWeb project is doing to enable broadband access for all. A pioneer of the commercial NewSpace sector, Wyler established O3b Networks in 2007, the aim of which was to connect the ‘other 3 billion’ with broadband connectivity using Medium Earth Orbit (MEO) satellites. The company, although now Netherlands-based and owned and operated by SES, was originally conceived in the UK and possesses a UK satellite license. In 2015, Wyler founded OneWeb with a vision to bridge the Digital Divide by 2027 using a network of Low Earth Orbit (LEO) satellites. OneWeb will launch 900 small satellites to circle the Earth and enable affordable access to broadband internet services for a variety of use cases including first responders, mobile network operators, schools and health clinics. The OneWeb project has already attracted more than $2bn investment and has located a key office in White City, London. A large part of the infrastructure is in the UK, and this has led to a push for the UK space agenda. 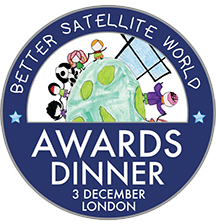 The Award was presented to Mr. Wyler at the Better Satellite Awards Dinner, held in London on December 3. Betty Bonnardel, President of SSPI UK, said the organization is delighted to present this award to Greg to thank him for the great contribution that he has made to the space industry in the UK. A new era in UK space is underway and Greg has enriched the sector in this country by bringing OneWeb to London and recruiting UK talent. This will also encourage other space entrepreneurs to have the courage to make their visions become reality. Greg Wyler said that when he started this journey 15 years ago, and he started connecting individuals to the internet... a lot of people asked him — why the mission? Why are you doing this? Wyler said he initiated the project because of the impact he observed. The gift of information access, the gift of self-reliance, and the gift of opportunity.